Unfortunately this picture suffered from the airplane window. But the scene and the motive made me show it anyways. 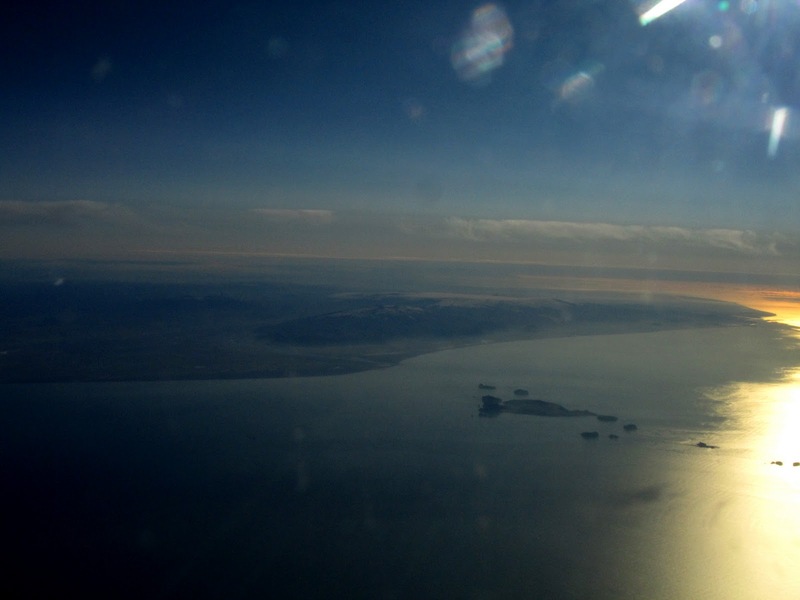 This is Iceland's southern coast, looking down on the Westmaennar Islands in the front. Behind, on land, you see Eyafjallajökull and the flow of debris into the ocean where the 2010 erruption changed the landscape. Behind it you see Mirdralsjökull, then in the back Vatnajökull, just faintly. This scene was just too nice, especially in the light of the sunrise, one early morning in August 2011. So I needed to post this here.